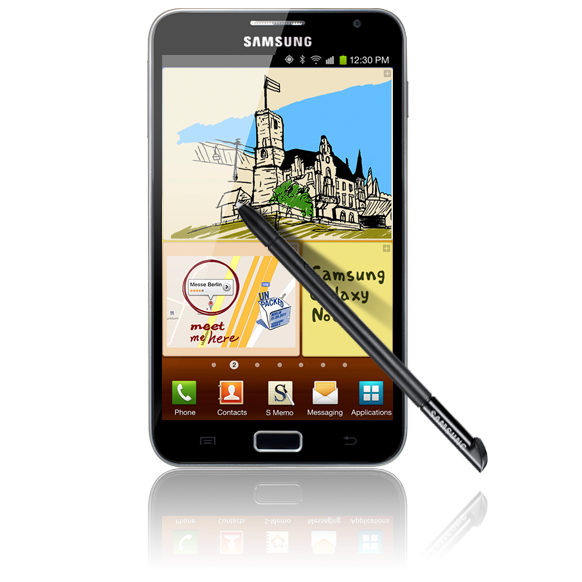 Samsung Galaxy Note Is On Sale Today With Some Freebies! 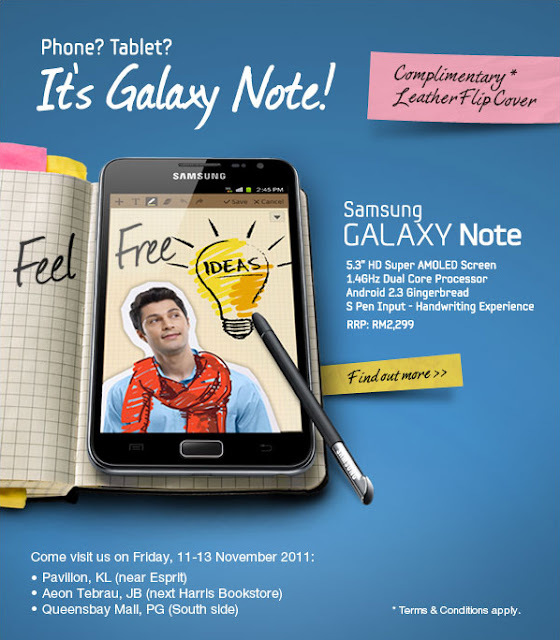 Samsung Galaxy Note is hitting the shelves today and the RRP (recommended Retail Price) is RM2,299 in Malaysia. If you are looking for a mobile device that is a hybrid of mobile phone and palm-size tablet then Galaxy Note is for you as it features a huge 5.3″ screen and it comes with an advanced smart stylus called S Pen. The first 100 buyers in Pavilion, Kuala Lumpur will get a Galaxy Note cover with Swarovski crystals, while first 50 buyers in Queensbay Mall & Aeon Terbrau will get the same cover too. You may opt to get a contract with Celcom or DiGi or without a contract via Samsung Elite partners at the roadshow. 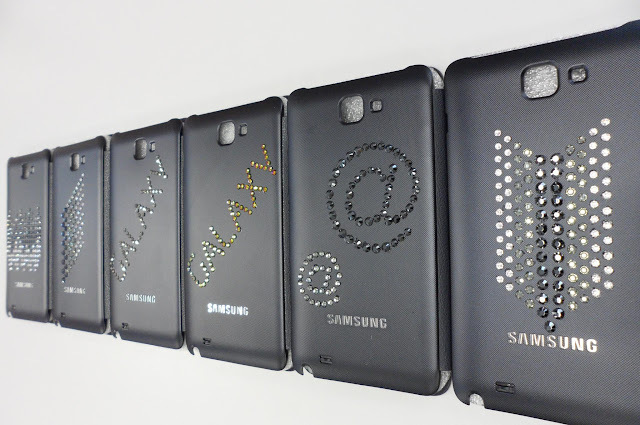 A complimentary Galaxy Note Leather Flip cover will be given to the first 9999 customers anyway. I’m please can you help me as I can find the imformation I need. Thank you very much! I think it’s necessary for me. Thank for help!